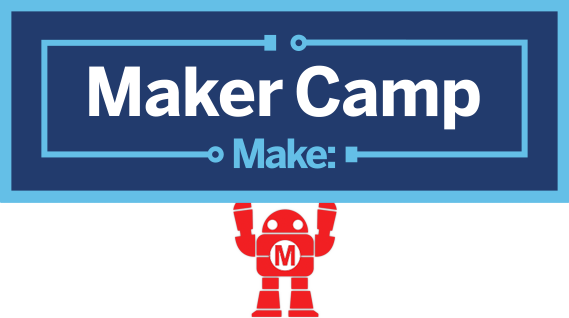 Maker Camp is part of Maker Media's global platform for connecting makers with each other, with products and services, and with our partners. Through media, events and ecommerce, Maker Media serves a growing community of makers who bring a DIY mindset to technology. Whether as hobbyists or professionals, makers are creative, resourceful and curious, developing projects that demonstrate how they can interact with the world around them. The launch of MAKE Magazine in 2005, followed by Maker Faire in 2006, jumpstarted a worldwide Maker Movement, which is transforming innovation, culture and education. Located in Sebastopol, CA, Maker Media is the publisher of MAKE Magazine and the producer of Maker Faire. It also develops “getting started” kits and books that are sold in its Maker Shed store as well as in retail channels. Please go to the Maker Media Help Center For help with Maker Media's other brands and products.